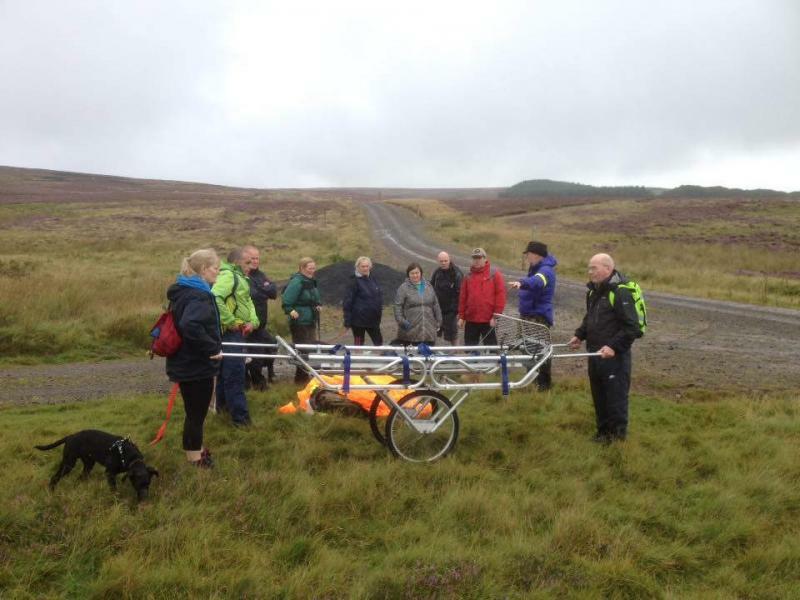 After a change of date due to the Tour of Britain cycle race travelling through our area, we headed for Watch Water on 24th September where team members were manning various 'Mountain Rescue' stations on a route that took walkers up towards Twin Law Cairns. The team demonstrated how to use various bits of equipment that we use in call-outs and rescues, givng advice on navigation and kit to take with you on the hill. We'd like to say a huge thanks to all of the families who came along up for our 5 mile walk and to the hikers and runners who took part in the longer 15 mile hike.